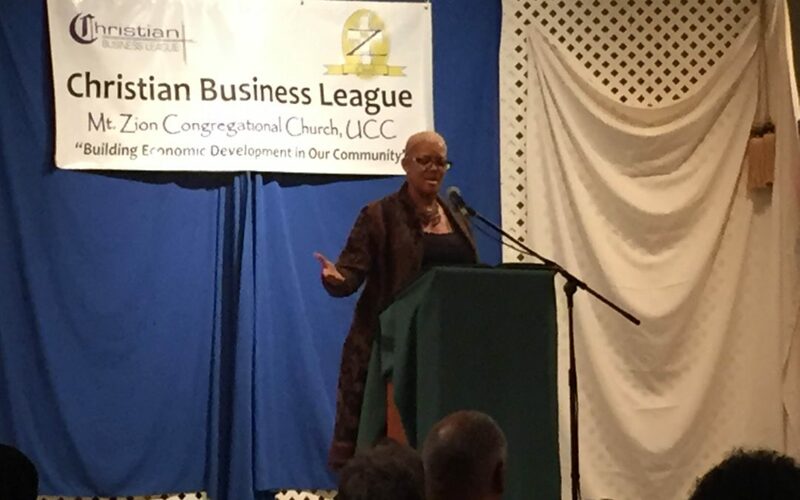 Dr. Jacklyn Chisholm, president and CEO of the Council for Economic Opportunities, spoke to a early-rising crowd during the “Faith and Finance” breakfast at Mt. Zion Congressional Church in Cleveland on Friday. She spoke about how her faith led her to her current position helping people living in poverty in the Cleveland area. Her message captivated the audience and after she finished, dozens of people approached her sharing their own stories of faith and perseverance. It was an uplifting morning for all who attended, especially Dr. Chisholm.